According to a study carried out by the British Lung Foundation, more than 85,000 people living in the UK have received a lung cancer diagnosis since 2004. With the disease being more prevalent in the 71-80 age bracket, it is not uncommon for people receiving care to have the condition. For people living with lung cancer, it can be an overwhelming and isolating experience which is why it is important to make sure that you understand what help is available. Based on the experiences of our carers, and guidance from Cancer Research UK and the British Lung Foundation, we’ve compiled a list of resources that focus on two of the most important contributing factors in coping with cancer: people and funding. Your GP should be your first port of call if you have any concerns. As well as answering questions about your medication or dealing with symptoms related to your illness, they can refer you to a variety of nursing services. This NHS page will help you find your GP if you do not know. 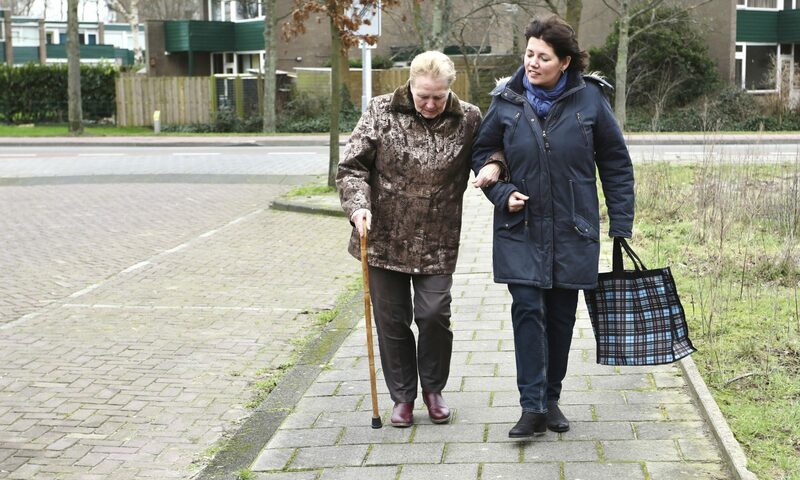 District nurses give help and care to housebound patients and those resident in nursing homes. They can assess your needs, provide advice, and help with tasks such as monitoring drips and checking temperature and blood pressure. They will work in tandem with your GP and other services where required such as Macmillan or Social Services. If your cancer is life-limiting, palliative care nurses will provide advice and help with pain control, sickness and other symptoms of cancer. They also provide emotional support and can direct you to sources of practical help. Specialist carers can be privately engaged either on a home-visit or live-in basis to provide tailored support that is specific to your needs and preferences. Services can range from toileting and dressing right through to companionship and specialist end of life care. Helpd.co.uk is an introductory service for carers. Please call us on 0118 449 2373 to find out more. When you are seriously ill, money worries can make you feel worse and lead to further health complications including anxiety and depression. Thanks to the efforts of leading charities, understanding what you’re entitled to is now a more straightforward process. Macmillan Cancer Support has an excellent set of calculators that help to make money one less thing to worry about. What is so positive about their approach is that they have also looked at ways to make sure you can continue to enjoy life – for example providing advice on how to obtain travel insurance. Many people find it hard to discuss illness and find it difficult to know what to say to someone who is seriously unwell. According to Macmillan, people with strong emotional support tend to adjust better to the changes that cancer brings to their lives, so it is important to keep talking. By the same token, people living with a life-limiting illness may feel that they don’t want to burden their loved ones by talking about their illness. This can lead to increased isolation at a time when social contact is vital. In both cases, there are services designed to be there, listen and help. Here are three that specialise in helping people living with, or affected by, lung cancer.